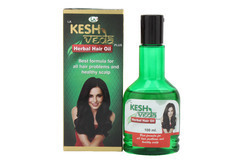 Our range of products include herbal hair oil and herbs for hair oil. Repair damaged hair shaft, provides essential nutrients to encourage fresh follicular growth. Provide strength to scalp cells, prevents early hair loss, removes skin disorders, and extends the life of hair. We are engaged in the industry of the herbal medicines one of our unique product is Herbs for Hair Oil, it is specially made of the hair protection. Provides smoothness to the hair with strength.